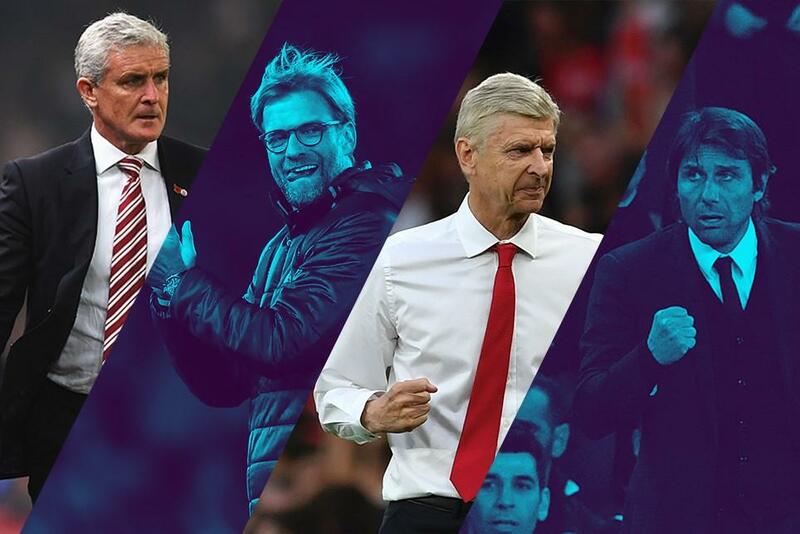 Mark Hughes, the Stoke City manager, is among the nominees for the Barclays Manager of the Month award for October. After securing a draw with Manchester United, the 53-year-old, who won the award in October 2007 with Manchester City, followed up with three successive Premier League victories to earn a place on the four-man shortlist. Nominated for the first time is Antonio Conte, the Chelsea head coach, whose side managed four successive wins in the month. He joins Jurgen Klopp, of Liverpool, and Arsene Wenger, the Arsenal manager. The Barclays Manager of the Month award is decided by a combination of votes by the public on premierleague.com and a panel of football experts. The public vote will count for 10% of the total. The vote will close at 23.59 GMT on Monday 7 November with the winner announced on Friday 18 November, after the international break. With just two points from their opening six matches Stoke started the month second from bottom but a 1-1 draw at Old Trafford served as a platform for three successive victories that lifted them to 12th. Hughes has changed his formation to bring the best out of Joe Allen by deploying the midfielder in a No 10 role, and has coaxed goals from Wilfried Bony and shored up a defence which conceded just twice in the four fixtures. After just one point in September Chelsea recovered in style from back-to-back defeats by Liverpool and Arsenal with four wins in a row in October. Switching to three at the back reaped rewards for Conte, whose side conceded no goals and scored 11, as Eden Hazard and N'Golo Kante returned to form while Diego Costa maintained his Premier League scoring run. The 4-0 victory over Man Utd helped to lift Chelsea to within a point of the top by the end of October. The winner of September’s award is in line for back-to-back triumphs after Liverpool again secured three victories in the month, while maintaining an exciting brand of attacking football that only Man Utd were able to shut out. Liverpool’s displays have thrilled fans and neutrals alike and only goal difference divides them from the Premier League leaders. Arsenal managed 10 points from a possible 12 in October. Helped by the free-scoring form of Alexis Sanchez and Mesut Ozil Arsenal produced eight goals, kept two clean sheets and extended their unbeaten run to nine Premier League matches. In so doing Wenger’s men closed the five-point divide between themselves and leaders Manchester City to end the month second in the table on goal difference.